Please forgive the radio silence for the past few weeks — I was out of the country and respecting my travel partner’s request that I not publicize it on social media. And after all, there is something to be said for occupying yourself more with your surroundings and being in the moment instead of sharing it with everyone the moment it’s happening. That said, I was in Scotland and Ireland. While there, I did — big surprise! — quite a bit of walking. 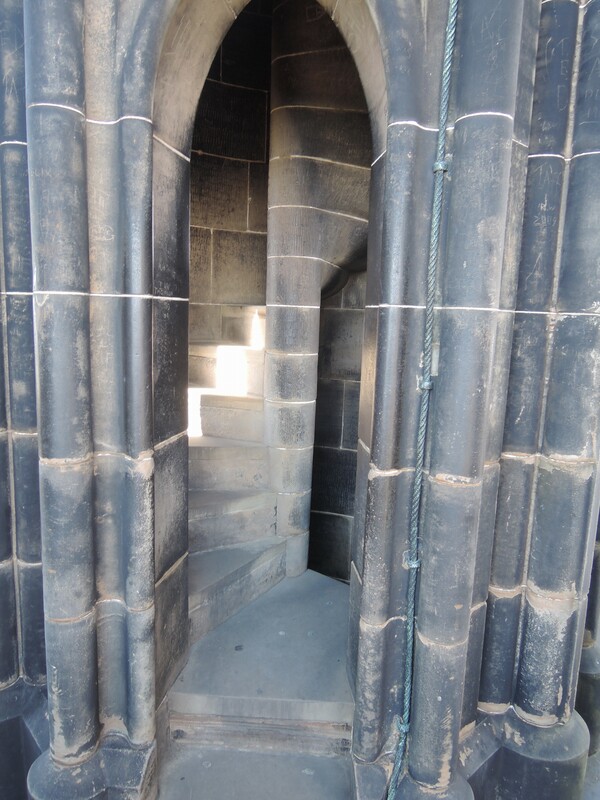 One day in particular in Edinburgh, Scotland, I got in some great leg work by (after a day of sightseeing on foot) climbing to the top of the Scott Monument: 287 steps to the top (and back down, for a grand total of … 574). From there I went to Calton Hill, a park on a bluff overlooking the city. I definitely worked the hamstrings and quads that day. One day, I took a route that brought me to a wide beach. Another day, I happened upon a long, canopied street, with ambassador residences behind ivy-covered walls. Our hotel in Galway, Ireland, had a gym. Woo-hoo! I was ready for some bonafide strength-training. Early that morning, I hit the gym, going first to the treadmill for a quick warm-up. I punched the speed numbers up to my usual, mid-3 mph starting range, but the treadmill seemed awfully sluggish. “Did I choose a bum machine?” I wondered. I kept jabbing the speed button until I was at a pace that would normally have me starting to jog: mid-4 mph range, now 5 mph… Aha! I realized that the treadmill speed must be set at kilometers per hour, not miles per hour! That woke me up. After my treadmill warm-up, I moved over to the weight area to do some dumbbell work. The dumbbells were in kilograms, not pounds. So, as a starting point, I had to eye them for approximate size compared to weights at home. Same story with the weight machines. Just where to put the pin? That involved a bit more trial and error to find the right weight. 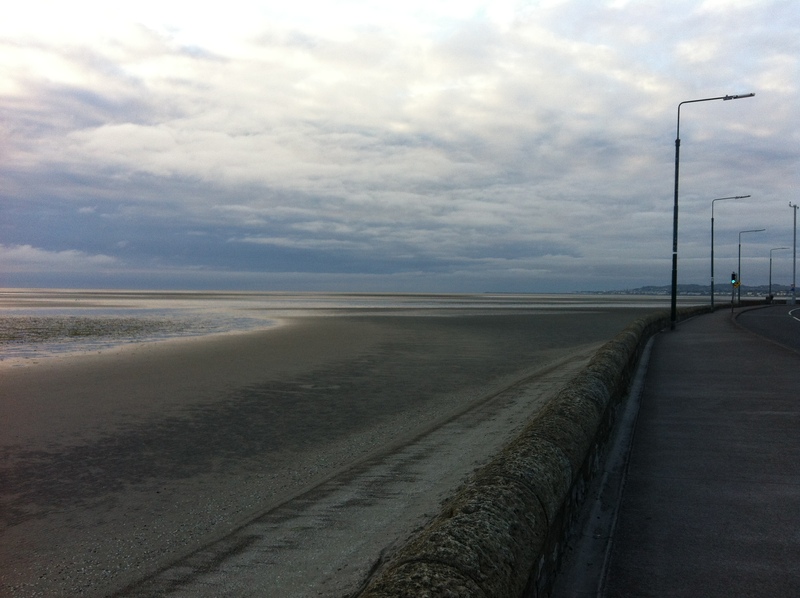 A couple more observations about exercising in the Emerald Isle vs. the U.S. of A.: The majority of people I saw walking along roads were wearing neon green safety vests with reflective strips. They weren’t always walking against traffic, which is advised in most cases, but at least they were highly visible. Motorcyclists and bicyclists wore the vests, too, for the most part. Smart. I worked out in two hotel gyms (one of which was open to the public) and did some walking in city neighborhoods, and very few of the exercisers I saw, both indoors and out, were wearing headphones/earbuds. On the flip side, nearly every exerciser I see here at home has them. Exercising on vacation sometimes falls by the wayside. It’s easy to feel like you want to relax as much as possible … drop the usual routines and schedules … sleep in … take it easy. But don’t miss out on the chance to really explore your destination with a walk or jog, and revel in the little differences that bring energy all on their own. 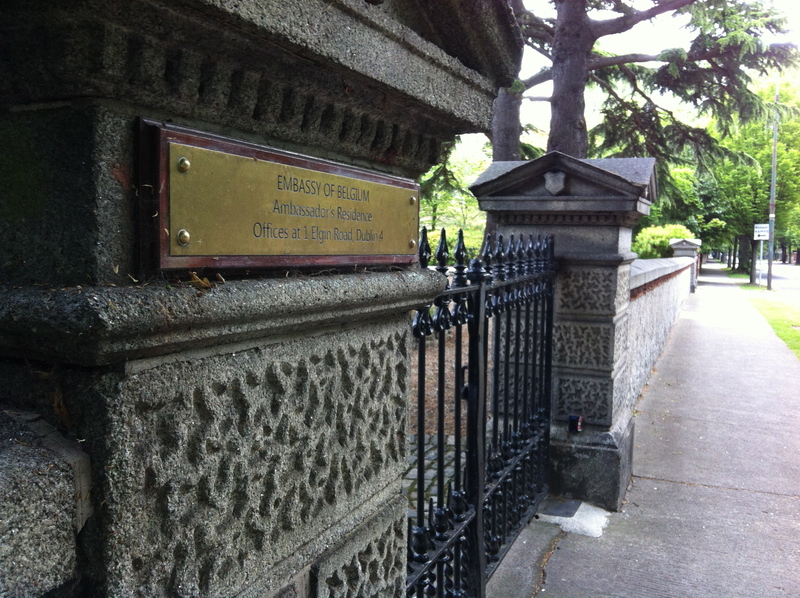 This entry was posted in Seen on a walk, Where I've walked and tagged Dublin, Edinburgh, Europe, exercising, exercising on vacation, Galway, international travel, Ireland, metric system, Scotland, Scott Monument, treadmill, walking, walking safety by Walk With Joelle. Bookmark the permalink.